There is no public access to this spinney. 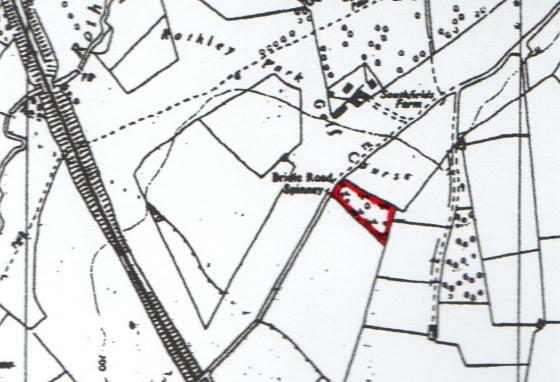 Pine Spinney is the name given by Tony Cooper, the owner, but maps show it as Bridle Road Spinney. An old map shows it to have been planted in 1884. The whole of the spinney is covered by a Tree Preservation Order. I was intrigued by the name of Pine Spinney when we saw Tony only this week, as there was little distant visual sign of pines. I am still trying to build a picture of all the Scots Pines planted in Rothley so the name was of great interest. This spinney is used for pheasant rearing so a small section is penned off but no birds present during our visit. 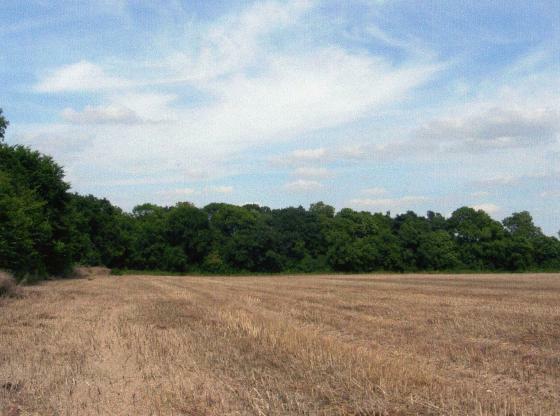 The spinney has a good ditch surrounding it but the ground vegetation was abundant after the very wet summer of 2007 and it was impossible to assess for ridge and furrow. I could see the reason for it being called 'Pine Spinney' as it must have been mainly Scots Pine that had been planted but most were in a bad state of decay and hidden from general view. Many had fallen, some propped up by stronger Oaks and Ash and others in the final stage of decay and returning to the ground as bark and heartwood litter. Most of the Oaks and Ash had a girth of around 1.5-2metres, especially those on the perimeter with one Oakin the boundary of Site 206 Barn Close having a girth of 3.2metres. The ground flora included Sweet Violet, Herb Robert, Wild Arum, Red Campion, Hedge Woundwort, and Fern sp. but a lot of ivy was growing on the ground and in the trees. This wood has no management and there is no public access. XHTML 1.0 validated. WCAG compliant. Page generated in 0.1051 seconds.